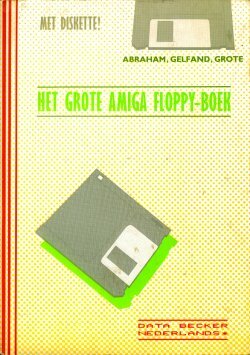 The book, Het grote Amiga floppy-boek, is written by Abraham, Gelfand and Grote. It's a tutorial for working with the Amiga and the disk drive. The book is written in the Dutch language, has 189 pages and was published in 1988 by Data Becker GmbH.